ICPE organizes educational trainings and events, offer development models to equip public enterprises with competitive business models to match tough performance requirements and offer better life for the public and the public officials. All ICPE training programmes are customised according to the needs, objectives of the training and training goals, set as priorities by each individual partner institution. ICPE provides training programmes for government officers and different public sector institutions, as well as other interested institutions from its member states and beyond. With vast experience in the field of training and strong connections with different academic, research and business institutions, ICPE is able to provide programmes on most diverse topics. The structure of the training programmes at ICPE finds balance between academic lectures, visits to relevant institutions, meetings with high representatives of the government and business, and workshops, in a way to most efficiently tackle each individual topic of the trainings. The training programmes usually last from a few days up to two weeks. 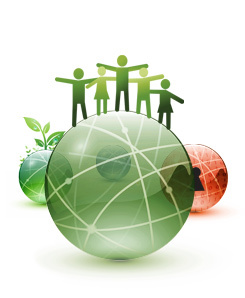 All previous projects of the ICPE are a reflection of its dedication to promoting Socially Responsible Entrepreneurship. The Climate Change Technology Advancement Program (CC-TAP), through transfer of new and existing technology, as well as capacity building, promotes the development and spread of entrepreneurship committed to cleaner energy use and a greater care for the environment. The Corporate Social Responsibility Program (CSR) Program promotes the deliberate inclusion of public interest into corporate decision-making, and the honoring of a triple bottom line: People, Planet, Profit. The Public Private Dialogue Program (PPD) helps Government and Business to better understand each other's interests and to create synergies for the benefit of society wherever possible. The Economic and Business Diplomacy Program offers opportunities for governments and businesses to intensify their cooperation with other countries and regions, including in the area of trade and investment, to ensure a sustainable recovery from the current crisis and better social conditions for their population. The SME TraiNET Program promotes and supports the development of structured and holistic training support provided to still young but already established SMEs, whose businesses are develop successfully and have the potential of growth, a priority for any society wishing to nourish innovative and promising business solutions.